Many retailers don't offer much, if any, selection in petite fashion. Here's a resource for online shoppers looking for petite fashion - the top 10 online shopping sites where petites can find hundreds of garments sized for them. Banana Republic is known for its hip designs. It's owned by the same company as Gap and Old Navy, and although you'll find the prices a bit higher at Banana Republic, it's a good place to shop for youthful, trendy clothes. Company’s Claim: Banana Republic claims to be "an accessible luxury brand offering high-quality..."
Gap is known for its youthful, casual designs and friendly price points. Company’s Claim: Gap claims that its objective is "to make it easy for you to express your personal style throughout your life." Nordstrom is well known for its trendy fashion offerings and shoe department with lots of designer styles. Petite clothing lines that Nordstrom carries include AK Anne Klein, BCBG MAX AZRIA, Lauren by Ralph Lauren, MICHAEL Michael Kors, and several others. Company’s Claim: Nordstrom claims to be "one of the nation's leading fashion specialty retailers." Macy's is an iconic American department store that offers petite clothing, including some AK Anne Klein, INC International Concepts, Lauren by Ralph Lauren, MICHAEL Michael Kors, and some other petite lines. Petite sizing: Petite height range not stated. Company’s Claim: Macy's claims that its "department stores are some of the best known and most-loved in the world…"
With its refined styling, Ann Taylor is a good place to find garments for your work wardrobe. Company’s Claim: Ann Taylor claims that its mission "is to provide women with updated classics that are feminine, stylish, versatile and polished…"
Dillard's is a department store that offers a wide range of styles in petite garments. Company’s Claim: Dillard's claims to focus "on delivering maximum fashion and value to its shoppers." JCPenny has been around for over a century and was always well known for its huge mail-order catalog. JCPenny offers petite garments in a low to mid price range. Company’s Claim: JCPenny claims to be "a true American icon." 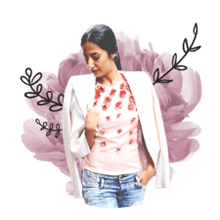 Known for classic styling, Talbots offers everything in regular and petite sizes, so it's a good place for petites who take misses for tops and petites for bottoms or vice versa. Petite Sizing: Sized for petites 4'11" – 5'4"
Retail Stores: More than 1100 stores Company’s Claim: Talbots claims to offer "modern classic styles…"
Lands' End is best known for casual, outdoor clothing and has a good selection of swimwear, some of which is available in short-torso styles. Petite Sizing: Sized for petites 4'11" – 5'3 1/2"
Company’s Claim: Lands' End claims that its "goal is to please our customers with the highest levels of quality and service."